The project is one of the UK’s largest ever modular schools. 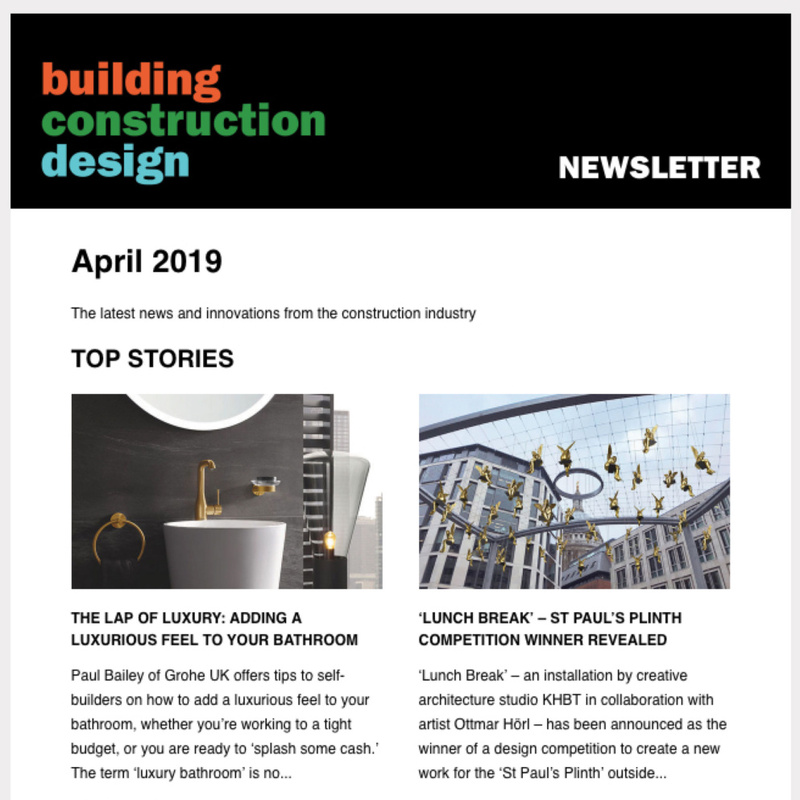 It demonstrates a number of new innovations which contributed to its early completion and reduced the programme by around six months compared to site-based construction. 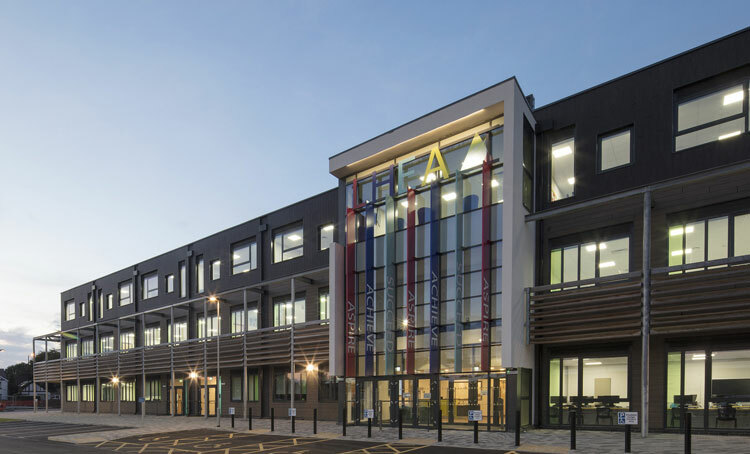 Funded by the Education and Skills Funding Agency and operated by the Learning Alliance Academy Trust, Lynch Hill is a 1,140-place academy free school campus specialising in science, technology, engineering and maths. In recognition of its success, the project has already been shortlisted for five industry awards. You can view a video of the Lynch Hill scheme here. Constructed by principal contractor McAvoy, the three-storey, 8750m2 building is an exemplar offsite education project which has a design inspired by the world-leading Harvard Business School. The use of a McAvoy offsite solution reduced the build programme to just 53 weeks and helped to address the issue of restricted access to the brownfield site. 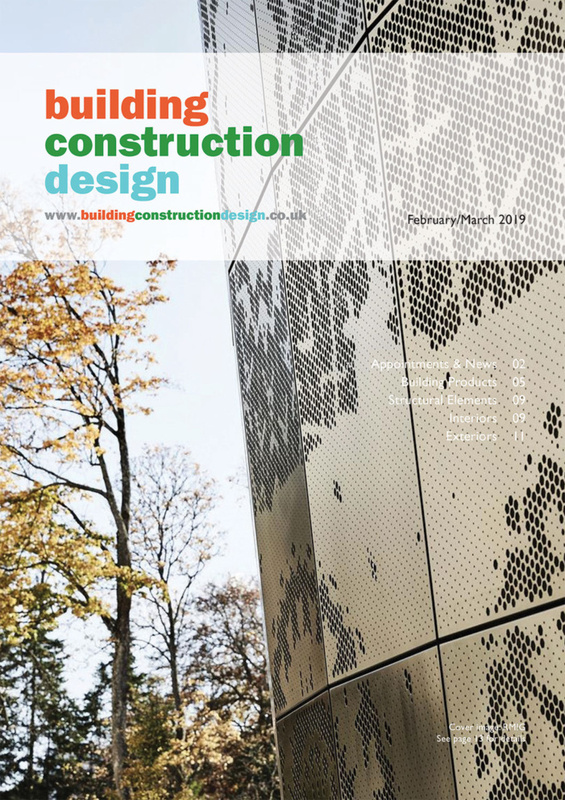 Around 65 per cent of the building’s construction was completed offsite and the 146 steel-framed modules were installed with doors, windows, ironmongery, internal walls, plumbing, electrics and joinery already in place. Lynch Hill demonstrates a number of technical advancements including steel-framed modules that were pre-clad in the factory. Larger 15.6m long units and a new lifting system were specially engineered for the project, reducing time, transport and installation costs, and further improving construction efficiency. Designed by Blue Sky Architects, the new school features a full height glazed entrance, a striking timber colonnade with brise soleil sunshading, and a palette of materials which includes render and timber-effect rainscreen cladding to harmonise the building in its semi-rural location. Internally there are four large multi-functional central spaces to maximise natural light and encourage interaction and collaborative learning. The use of inspirational messages and bold colours throughout reflects the ethos of the academy and the themes of enterprise, aspiration and achievement. 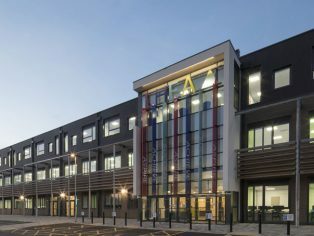 The scheme accommodates a four-court sports hall; science laboratories and technology studios; a business and enterprise exchange to facilitate collaboration with local business; studios for music, drama and art; areas for informal learning; sixth form study and social space; facilities for special educational needs; kitchen and café. For further information about modular school buildings, visit www.mcavoygroup.com, call 028 8774 0372 or email info(Replace this parenthesis with the @ sign)mcavoygroup.com.